Back to school days are here, and that always means extra strain on your wallet - even for homeschoolers. 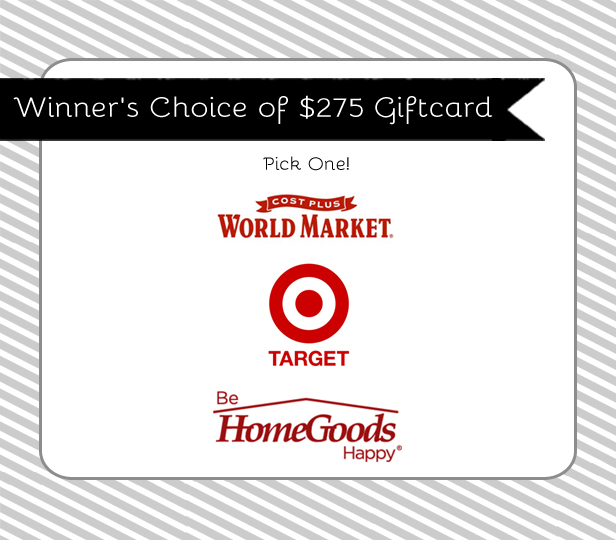 I am joining with some fabulous bloggers to bring you a $275 Gift Card giveaway this week. The winner has a choice of World Market, Target, or Home Goods. For a chance to win, fill out the Rafflecopter form below. Tracie - this might be the best giveaway I've ever seen! Or in the top five. I'm partial to my photo wallpaper one from last month. Thank you! Here goes nothing..